Complete Show Services has the capability to print digital graphics for any need. 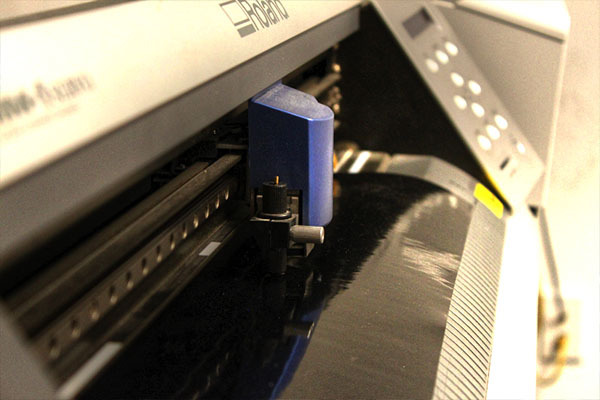 Our skilled associates will work with you to ensure the highest quality output when the job is printed. We have worked with many different types of media on an assortment of unique equipment. 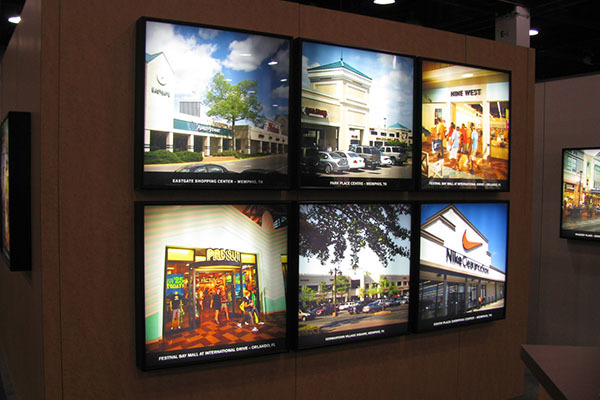 The end result: attractive, attention-grabbing displays and signage that are sure to start conversations. 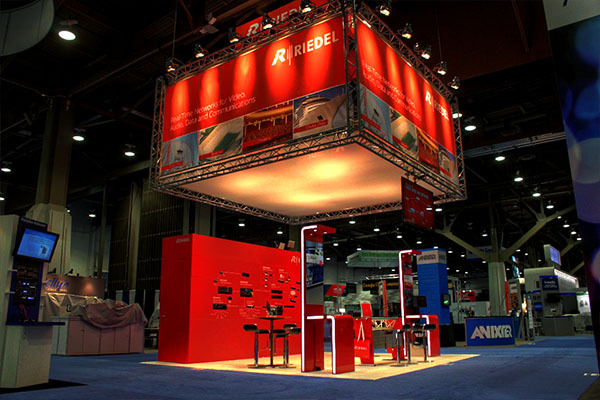 Complete Show Services Show Graphic, our state-of-the-art graphics department, brings both vast industry knowledge and unmatched production capabilities to the table. We believe that presentation is everything. The importance of vivid eye-catching graphics durring any show cannot be understated. From vibrant full color entry units, to back-light registration headers, we provide the highest quality graphics & signage products available. We provide direct printing and dye-sub printing on an assortment of fabric materials that can then be sewn together for any application. Our design team will find the best solution for your needs. We can provide hardware, such as aluminum frames, in custom size. 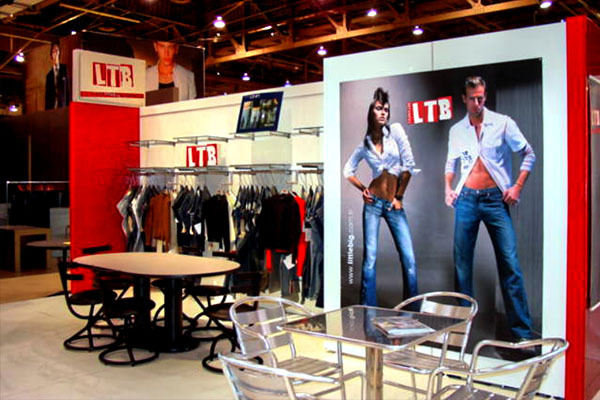 Fabrics are lightweight, durable, easy to install, easy to dismantle, and perfect for hanging signs, stage back drops, overhead awnings, and large graphic displays. 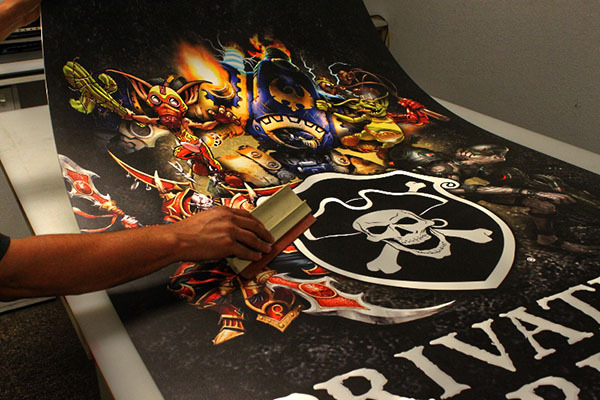 We have the capability of printing on an assortment of banner materials, in one, two or four color process, that are safe for indoor and outdoor use. All banners can be fitted with pole pockets, hems or grommets, making installation easy. A perfect alternative for light weight graphics that can be easy applied and removed. We are able to have material custom cut to any specification as needed giving you versatility on very graphic project. 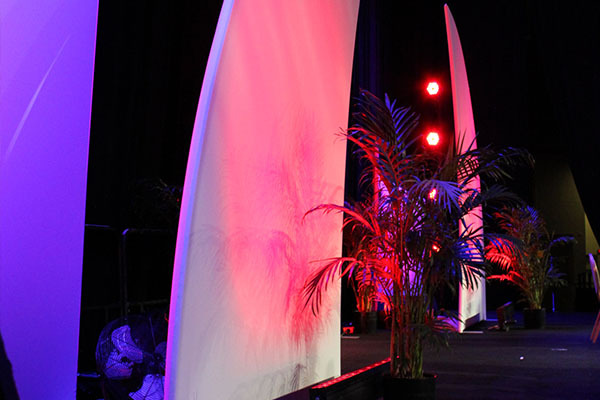 A great choice for one time use, short term displays and affordable cut out display graphics. Sintra, Comotex, Styeren and other polyurethane compound plastics that can be direct printed or mounted on. 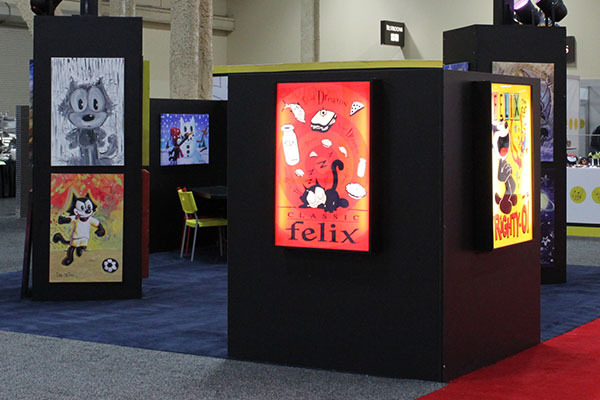 These graphics can then be used as insert panels, wall hangers, header boards and many other applications making your exhibit or special project stand out above your competitors. Clear, frosted, milked, and even edged acrylics can be mounted with graphics, surfaced or sub surfaced. This process allows us to transform your graphics into a back-lit or see-through film, perfect for any display. Substrates with translucent properties that can be printed directly on and applied to back-lit surfaces. These graphics are similar to sub-mounting on acrylics but the sharpness and vibrant colors of products like Duratrans are much cleaner and a higher quality print. Rollable graphics that can be applied to surfaces and then easily removed after use without leaving residue or damaging the underlining surfaces. Perfect for applying to curved or uneven surfaces such as pillars, fabric walls, and even glass. Some clings can be reusable up to twelve times, making your graphics pay for themselves after multiple uses. Vinyl can be either printed or cut solid colors and mounted to virtually any clean surface. Most vinyls are made for indoor and outdoor use with over 100 solid colors to choose from. Complete Show Services now has the graphic capability to do Vinyl Wraps for vehicles. Why not advertise using your company vehicle as a mobile billboard? Our graphic design team will help with layout and explain what you can expect though the entire process. Whether your graphic job is large or small, we have the expertise you are looking for. We currently offer an assortment of outdoor and indoor signs, flags, step-and-repeats, banner stands, pop-up displays and even media boards at affordable prices. Many of our displays can be set-up and broken down in a matter of minutes and are stored in lightweight carrying cases for ease of shipping and mobility. 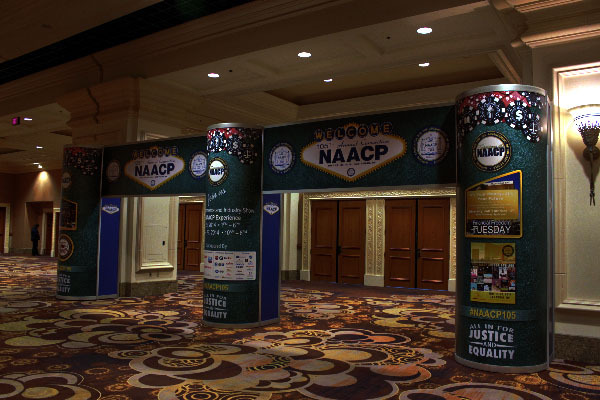 Printed display graphics can be changed as often as you like making them versatile from event to event. Contact us today to learn more about what we can offer you. With experienced graphic artists and the latest software technology, Complete Show Services graphic design team has the ability to make your imagination come to life. We will work with you step by step, from the initial design concept to final printing. 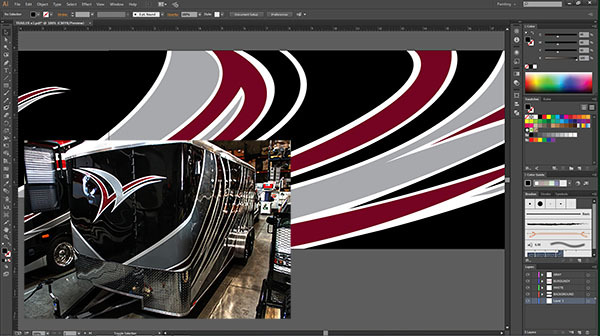 Complete Show Services offers free graphic estimates on a per job basis. Contact us today to learn more about our custom design options.